Back to School LeSportsac Giveaway #1 Winner! So sorry for the delay in picking a winner for my first Back to School LeSportsac Giveaway, my little ponies! 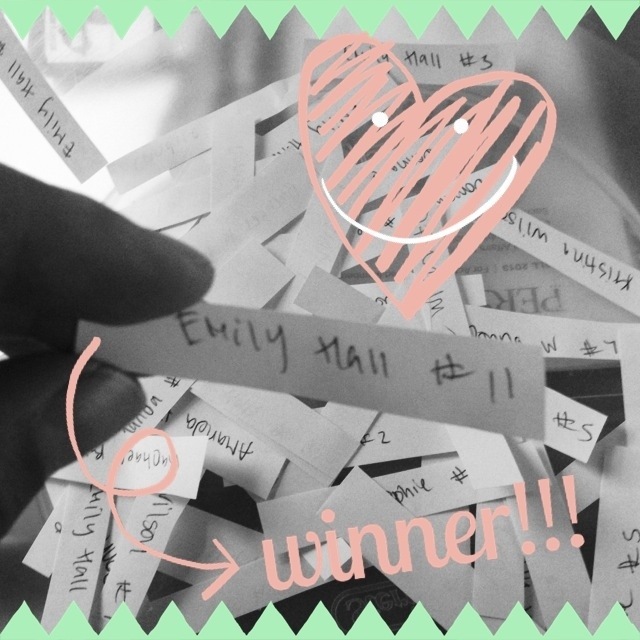 My printer is being a butthead again, so I wrote down each and every valid entry on a piece of paper, cut them up, stuck them in a bowl, mixed them up, and pulled out the name of the lucky winner and that was Emily Hall! Congratulations, Emily!!! Please email within 48 hours with your address so I can ship your LeSportsac bag to you. Thank you to all who entered and thank you to LeSportsac for providing the lovely Heather Hobo to giveaway to my readers! Aww, thanks for sharing your lovely post with me 🙂 I’m glad the bag got to you and that you’re enjoying it. I hope you can figure out what else to put in it!